In this section of our compliance reporting, there are several VETS compliance reports as required of federal contractors. As The University of Texas at Austin is a federal contractor in receipt of federally funded grants and contracts, the University is required to report on our veteran workforce numbers to multiple agencies. The first area of reporting is the VETS 4212, which is compiled in partnership with Human Resources. This report is compiled and submitted on an annual basis to the Veterans’ Employment and Training Service (VETS) Service Center, which is a division of the Department of Labor National Contract Center (DOL-NCC). Additionally, OIE reports the Veteran Workforce Summary and Veteran Complaint Report on a quarterly basis to the State of Texas via the FMX system at the Texas Comptroller of Public Accounts office. The most recent data submitted for the VETS 4212 report is the Fall of 2016 below. 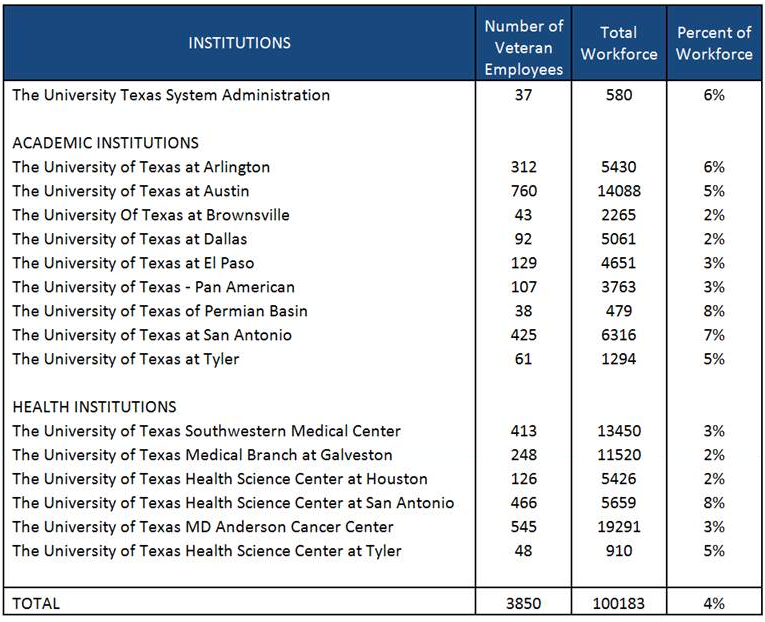 The University of Texas System compiled a report of the Veteran workforce population by component institution for the 2012-2013 year. 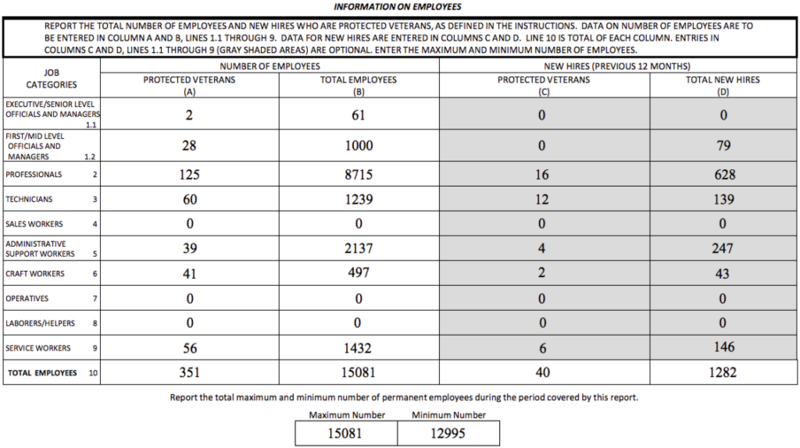 The statistical data below reflects each Veteran population by component versus the total workforce and the percentage of the Veteran population.